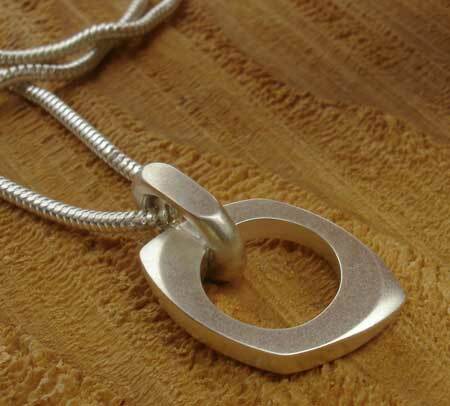 Women's Contemporary Silver Pendant : LOVE2HAVE in the UK! 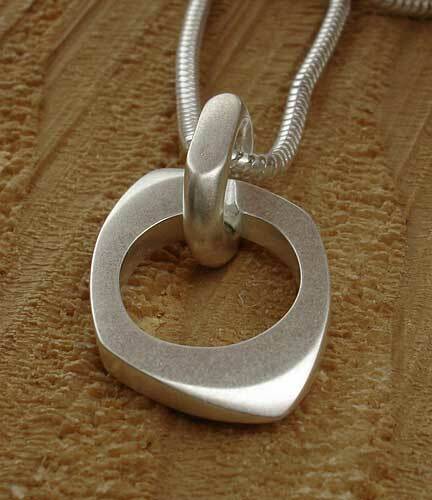 A women's contemporary silver pendant. This stylish ladies silver necklace is the matching necklace for the off-square silver pendant on a silver chain bracelet. The necklace features the same silver pendant threaded onto a 16-inch snake chain. It is attached to the chain with a rounded larger link. The pendant is an off square design with rounded off smoothed edging and measures approximately 1.5cm x 1cm. Longer chain lengths are available on request. Its finish is a matte finish.